Zachary Quinto appeared on The Tonight Show with Jimmy Fallon to talk about growing his hair back after shaving it daily for AMC’s NOS4A2 (pronounced Nosferatu as in the vampire) and the earthquake he experienced during his three-week retreat in a Peruvian jungle. tune in to @fallontonight to hear me talk about hair vitamins earthquakes and #highflyingbird… and to help jimmy celebrate his 1000th show! 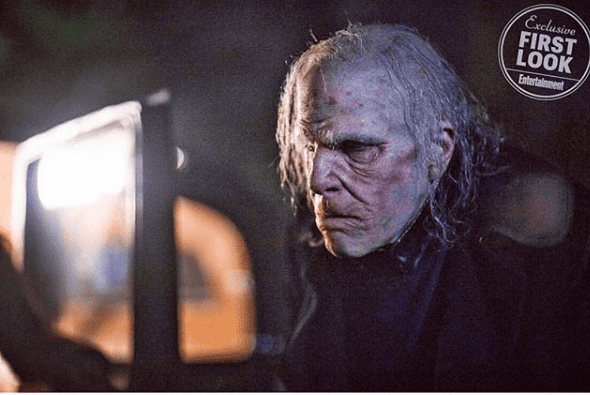 NOS4A2 was created by Jami O’Brien and is an adaptation of the novel by Joe Hill. NOS4A2 debuts on AMC in June. Quinto plays the horrendous looking Manx, who feeds off the souls of children. Saying “I’m going back to my horror roots” referring to his breakout role as Sylar on the NBC show Heroes. Quinto, tells Fallon that he had to shave his head everyday using a straight razor. “It’s not great,” Quinto said. Quinto said he’s excited to let his hair grow back. But it’s taking longer than he expected so he’s started taking hair vitamins. Quinto who’s played Spock in the rebooted Star Trek movie franchise (not to be confused with hit TV show Star Trek: Discovery) reunited with his Captain Kirk actor Chris Pine, at the premiere of Pine’s new TV show, I Am the Night, a miniseries directed by Wonder Woman‘s Patty Jenkins that premieres on TNT January 28 according to People magazine.